Go to nutritiondetectives.co.uk for more information. Nutritional therapist Amy Desborough and practitioner of Bowen Technique and functional medicine Lise Matthews have teamed up to bring you the latest in exceptional digestive care! They have formed The Nutrition Detectives and run clinics here at The Ark in Haverfordwest every Friday. You may not think you have digestive problems and that you can eat anything, but the truth is that many health problems originate from here which is why optimum digestion is essential to achieving good health and general wellbeing. The whole body needs an abundance of good quality nutrients in order for it to function properly. Unfortunately modern diet and lifestyle can lead to digestion being impaired resulting in a myriad of health issues. 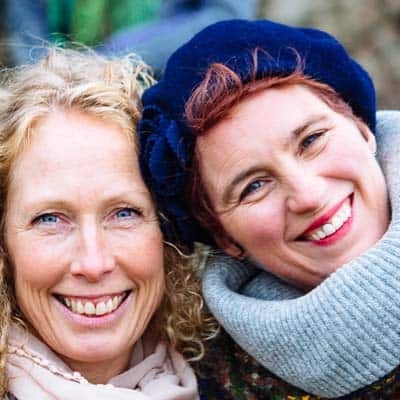 If you have any digestive or nutritional concerns, have been suffering with any of the above, or would like Amy and Lise to give you a nutritional MOT including an assessment, advice and recipes – please call Lise on 07811 074068 or Amy on 07975 518036 to book in to one of our Friday clinics (booking is essential!). Click here to open the patient form. Print it out, fill it in and bring it with you to your first appointment please. Read our editorial on THYROID. Read our editorial on CONSTIPATION.